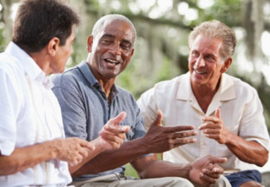 A prostate cancer support group is a group of two or more people with a common interest who come together to deal with a shared concern or problem involving prostate cancer. This site provides resources on all of these prostate cancer considerations. Our goal is help you get the answers to your questions so you can make informed decisions about prostate cancer. CPCC goal is to disseminate information relating to prostate cancer. Advocate for prostate cancer legislation and funding. Perform outreach to and involve all communities. Overcome barriers to proper care and treatment. Your support will allow us to continue these goals.